We’ve all heard about how the Internet of Things (IoT) allows us to control light bulbs, thermostats and security alarms remotely from our smartphones, but is there another side to IoT? I can do all the aforementioned things from my phone today (except for some reason my thermostat recently stopped connecting to the Internet), but less commonly do we imagine how IoT can change the way we interact with the physical world. 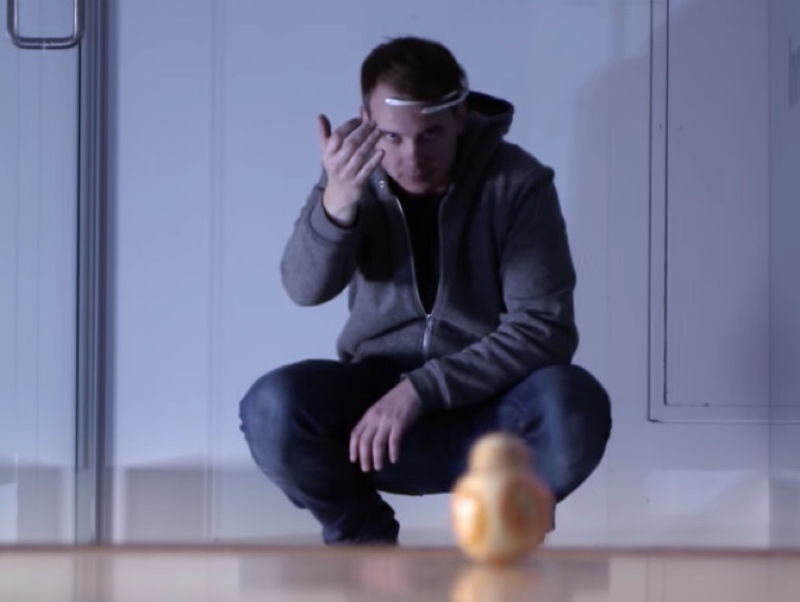 It turns out, with the help of IBM Bluemix and some inexpensive consumer hardware, you can direct a BB8 droid with your thoughts. Seriously. I really didn’t know that this was possible until Envato Tuts+ asked me to write the piece. Perhaps the guy with the best job in the world, Joshua Carr, Technical Liaison IBM Bluemix, has perhaps the perfect demonstration, which you’ve probably just watched in the video above. While robots have always been the realm of sci-fi, mind-control was even further out there in fantasy land. As Carr said, “After seeing Yoda lift X-wing out of the water, I’ve spent probably far too long than I’d like to admit staring at cars to see if I could move them.” That didn’t work when he was younger. But now, he shows us how we can do both. And that’s what I’ll be talking to you about today. And, as always, share your ideas, comments and feedback in the comments below, or reach me directly on Twitter @reifman. For today’s tutorial, you are also invited to reach Carr directly @josh_schwaa or @IBMCloud. Before we dive in, I want to mention that the Emotiv headset Carr uses in the video is the work of a particular woman genius, Tan Le. Working in technology, we’re often surrounded by men and don’t often know the contributions of women in science and technology. I’ll highlight more of Le’s work below. Of course, IBM Bluemix allows you to connect all kinds of hardware and is manufacturer agnostic. 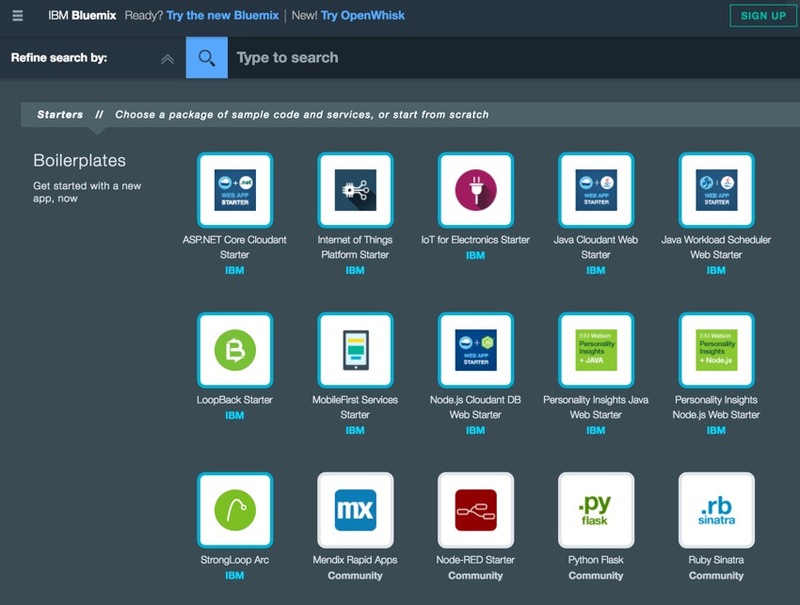 Bluemix is IBM’s open standards cloud platform for building, running and managing apps and services. It offers a vast catalog of services. If you want to use your mind to make changes in the real world, like directing droids, then you’ll want to leverage Bluemix’s IoT services. Let’s look at how Carr did it. Here’s the star of our show (the lil’ guy taking Carr’s directions), BB-8, which you all know and love from Star Wars, The Force Awakens. Then there’s the headset—the device that receives Carr’s thoughts and sends them to Bluemix. Amazingly, the Emotiv Insight began as a Kickstarter project, promising a “headset that allows consumers essentially to read their own brain and understand what’s going on within your head.” It costs about $299 USD. You can also watch her TED Talk: A headset that reads your brainwaves. Provides high spatial resolution, ensuring ‘whole brain’ measurement. Provides access to raw EEG data with software subscription. Nine-axis motion sensors for precision measurement of head position and movement. Identifies performance metrics, mental commands, and facial expressions. Built with hydrophilic polymer sensor technology which requires no preparation or sticky gels to use (helpful when you’re just getting out of the shower and need to send BB-8 off to distract stormtroopers). Minimum four hours battery run time. Wireless connectivity to phone, tablet, and PC. Windows, OSX, Linux, Android, and iOS compatible. Carr describes how he put together the components in the video in Taking your 1st steps to using ‘The Force’. If you’d like to replicate his video demonstration, I encourage you to read his tutorial. I’ve borrowed from his descriptions to provide an overview below. This creates an instance of Node-RED that you can access from your browser and provides a way to connect the headset and the droid together. It took Carr several hours to train his headset to a satisfactory level. Emotiv recommends that you should get one command working before trying to add another, and he agrees. Carr used the Java-based SDK from Emotiv and Java IoT library to connect the headset to Bluemix. These enabled him to receive data from the headset to run code there. 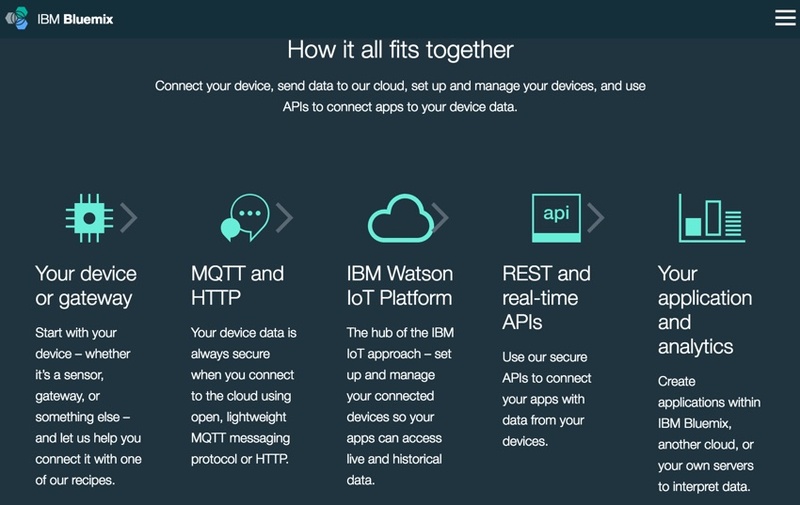 IBM’s Internet of Things Foundation helps you set up credentials for sending and receiving data in the cloud. Each application has an Organization ID and an API key to register your device. As he describes, a lot of configuration is required, but the IoTF docs will guide you. We wouldn’t want the cloud randomly sending our thoughts to someone else’s droids. Depending on how you structure the data you are publishing from your IoT Foundation client, you may need to use Node-RED to create instructions that will be received by the Pi that’s connected to the BB-8. The Node-RED visual editor is a wiring tool for the Internet of Things that allows you to easily and efficiently take data and run functions against it, sometimes with code and sometimes without explicitly having to write code yourself. Carr restricted his command set to push, pull, and neutral for the video. 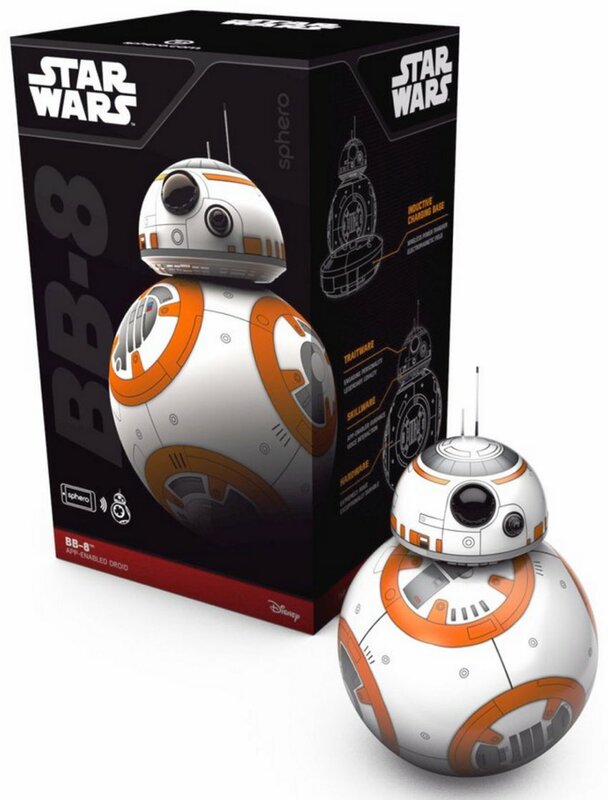 The Raspberry Pi will need the code that will connect to the BB-8. You will essentially need to replicate what you did with your code for the headset, but instead of publishing data, you will be subscribing to that data. In other words, the Pi takes in events transmitted to the cloud from your headset and offers them to the droid. To connect the Pi to the BB-8, Carr used BlueZ to perform a Low Energy Bluetooth scan. This helps the Pi find the MAC address of local BTLE devices such as BB-8. He also added the IoT Foundation Python library onto the Pi. This allowed him to create a new client in Python that connects to IoT Foundation and imports the BB-8 Driver. 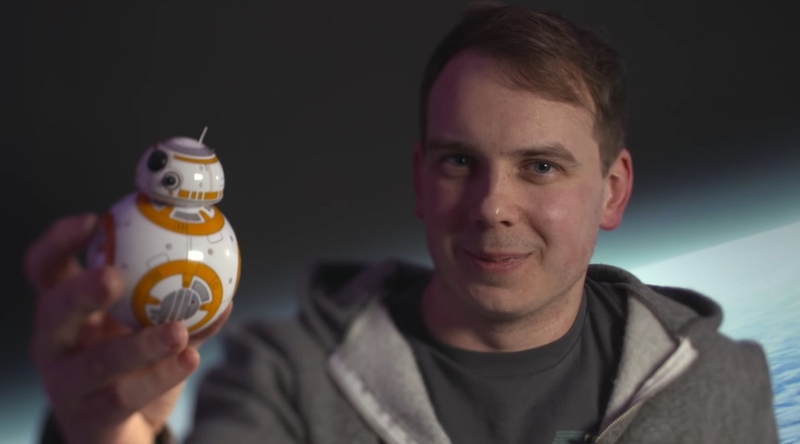 He then used simple conditional statements against the received data to work out which command should be issued, such as the roll() command to move the BB-8. Again, I recommend you visit his tutorial for more detail: Taking your 1st steps to using ‘The Force’. We don’t have to be Jedi to do this. So I say, bring on the spaceships and lightsabers. Self-driving cars seem so passé (sorry Elon). As for Carr, he’s exploring using the IBM Cloud and different APIs to go deeper—using Watson’s Speech-to-Text to light the BB-8 up in different colors or having the BB-8 reflect his current sentiment by having IBM’s Analytics Service, Watson, analyze his Twitter activity. He’d also like to hear your thoughts, questions or suggestions on putting Bluemix and BB-8 to greater work @josh_schwaa or @IBMCloud. Carr says, “We’re going to take a huge leap in feeling truly connected with other people,” and I agree. I’m looking forward to seeing this technology evolve and grow. If you have kids, especially daughters, tell them about this. Show them the video. Boy, girl, self-chosen gender nomenclature, tell them a woman led the invention of the headset—and let them know it’s okay to dream big about their future. Can’t Wait for the Armband Tutorial? I know this is pretty amazing stuff. I had to go back and re-watch the video to double-check that the Emotiv Insight is analyzing brainwaves and not just facial gestures; it is. 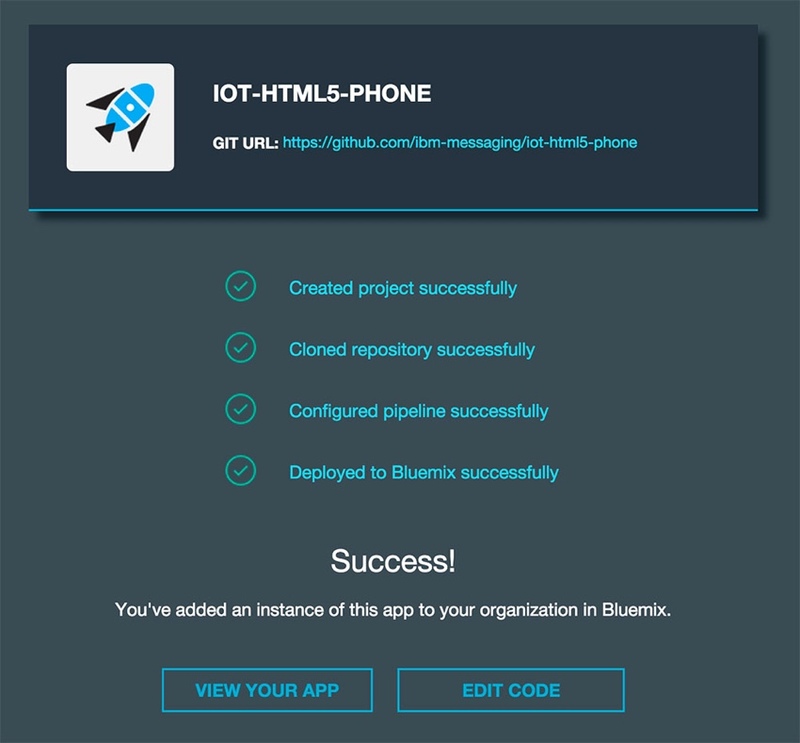 Check out Scaling from 1 to 100K+ connected devices with IoT on Bluemix, which describes how to plug your smartphone into Bluemix running a web application named IoT Phone. The app accesses smartphone acceleration, orientation, and location; think of it as a portable motion and movement tracker. It’s pretty easy to set this up today. And there’s more sample code to control a BB-8 Droid from anywhere in the world (GitHub). Stay tuned for the upcoming armband droid control episode. In the meantime, please let us know which IBM Bluemix topics you’d like to see more written about in the future. You can post them in the comments below or reach me directly on Twitter @reifman. I hope you’ll also check out my other Envato Tuts+ series How to Program With Yii2 and Building Your Startup With PHP. I hope you had as much fun reading this as I did writing it. The future will be big! 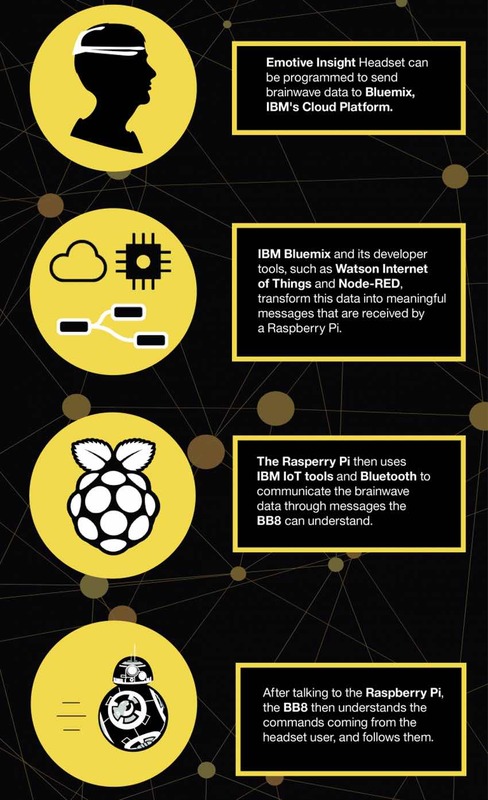 If you wish to learn more about IBM Bluemix and Internet of Things, visit http://ibm.com/bluemix.